Serious Problem- Varnish contamination is the inevitable by-product of many degradation processes in hydraulic and lubrication systems. The effects of varnish on industrial and manufacturing systems range from the nuisance of minor downtime and routine maintenance to, worst case scenarios, multi-million dollar catastrophic failures of major capital equipment. Serious Solution- Hy-Pro has the solutions for lube oil varnish that include innovative products, ISO 9001 certified U.S.A. based manufacturing plus the technical factory and distributor support necessary to make condition based recommendations and follow them through to implementation and beyond. Hy-Pro has advanced media technologies that provide a holistic approach to solve lube oil varnish to prevent premature equipment & servo valve failure, extend useful fluid life and provide reliability of in-service fluids and systems. Varnish & Solubility- The solubility of oil is directly related to oil temperature. Warmer oil can hold more oxidation by-products in solution but as the oil cools oxidation by-products (feedstock for varnish deposit formation) comes out of solution and can form deposits in servo valves and other critical components. The first video below shows two oil samples from the same gas turbine with 3 year old oil which had MPC value of 35 (common for gas turbines). The sample on the left was treated with SVR (Soluble Varnish Removal) technology to remove soluble oxidation by-products, and the sample on the right was left untreated as found in the turbine. Turbine Lube Oil Varnish- Despite thousands of dollars and hours spent trying to mitigate the effects of turbine lube oil varnish many still suffer from this ongoing yet solvable issue. When combustion and steam turbines fall victim to unit trip or fail-to-start condition varnish is the usual suspect. SVR Soluble Varnish Removal skids prevent and remove varnish deposit formation in lube oil by isolating oxidation by-products as they are formed and while they are still in solution (dissolved). By removing the soluble varnish feedstock SVR is addressing the primary cause of varnish before varnish deposits can form. Stop varnish before it stops you! SVR restores the solubility of the oil by removing the soluble varnish causing contamination that other technologies can't. By restoring solubility SVR enables the oil to chemically remove previously formed varnish deposits and reduce QSA® or MPC varnish potential numbers from condition critical red to condition normal green. Ask Hy-Pro how the SVR1200 can reduce and maintain a 6000 gallon GE Frame 7 lube reservoir MPC value from 60 to single digits in approximately 45 days. Varnish potential test kits are available as VFTK (field portable) and VLTK (on-site lab stationary). Both VFTK and VLTK yield Membrane Patch Colorimetric for lube oil varnish potential (MPC ΔE) per ASTM D02.C0.01 WK13070. VFTK is ideal for preparing frequent samples in various locations (i.e. PDM engineer) and VLTK best suited for dedicated on-site oil analysis lab set up. Use the V*TK to identify hydraulic and lube oil reservoirs with a high potential for varnish formation and trend the effectiveness of varnish mitigation efforts on each turbine. The video below demonstrates how the feedstock for varnish deposits, oxidation by-products, that have precipitated out of soultion are dissolved back into solution (soluble) when the oil temperature is increased. An opposite phenomenon occurs when peaking turbines go off-line and lube oil cools causing soluble contamination to precipitate out of solution resulting in varnish deposit formation throughout hydraulic control systems. Only SVR (soluble varnish removal) technology can remove oxidation by-products while still in solution to prevent precipitation and deposit formation in low flow and cool zones (servo valves). Pulp & Paper- Servo valve and bearing failures cause unnecessary downtime and expense for paper mills around the world. Other varnish related issues include blocked filter elements and discolored site-glasses. Contact us regarding products and solutions to mitigate varnish contamination and reduce fluid contamination related failures. Plastic Injection Molding- Varnish prevention, ISO fluid cleanliness, and additive condition are critical components of reliable injection molding machine operation. Varnish deposits and additive depletion not only cause unplanned downtime they can also have a negative effect on the quality of manufactured parts in an industry where time really is money. Contact us for varnish and other fluid contamination issues in plastic injection molding. Petro-Chemical & Refineries- Varnish problems, high particulate and moisture contamination leading to failure in critical rotating equipment are a major concern for refineries around the world. 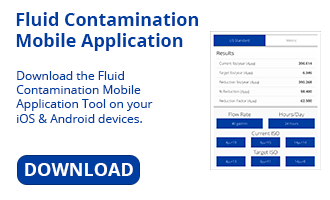 Increase equipment and fluid maintenance intervals on critical turbines, compressors, pumps and other lubricated rotating equipment that typically utilize the same lube oils found on combustion and steam turbines. Hy-Pro has a full range of solutions to prevent varnish, control particulate and keep these critical lube oils dry to avoid millions in downtime caused by maintenance mediocrity. Steel & Primary Metals- Hydraulic and lubrication system problems can cause millions of dollars in downtime and lost production for aluminum or steel mills. Further, as automatic gauge controls, roll bending, and other sophisticated systems become more common, servo-valve performance and reliability becomes more critical. Make Hy-pro a part of your lube team and we will implement strategies to significantly improve reliability of critical hydraulic systems in melt shops, continuous casters, and rolling mills, as well as processing operations downstream.